ReefWarrior, Casey Treichler put together this excellent wave sailing video from his recent Hatteras visit and specifically catching it at the Friso Pier last week (see previous post). All in all, very nice, even if I did not make the cut from the day I was down there. Guess I should have stayed out when conditions improved just after derigging my sail that day! And… Tropical Season is underway!! This past weekend long period swell arrived serving up chest+ clean set wave surf and winds from the SSE. Nags Head was the call, and I caught an “ALL Day” wavesailing sesh at Conch St across from BrewThru Jr, near Jockey’s Ridge. 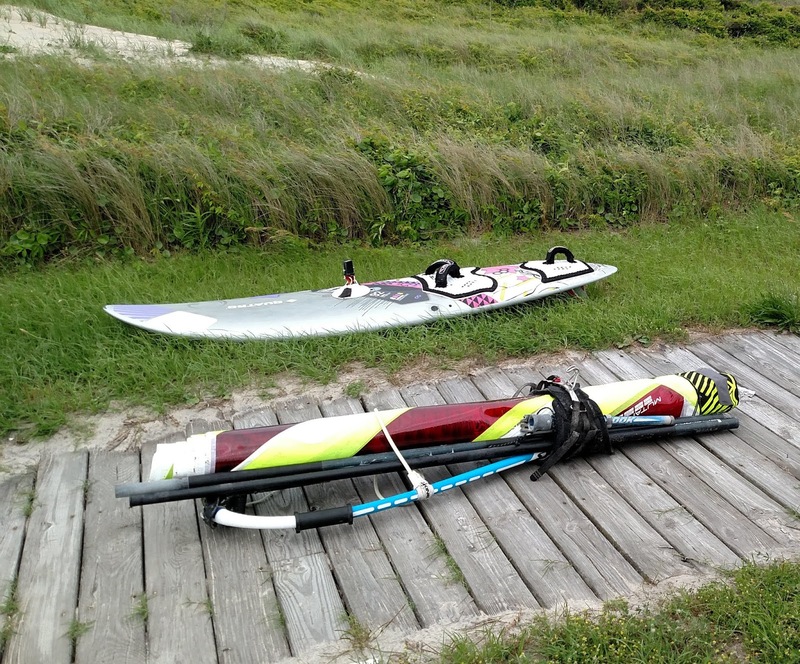 I rode both the SeaLion Pro and Quatro Twin 92 with the 5.3m Legend throughout the day. 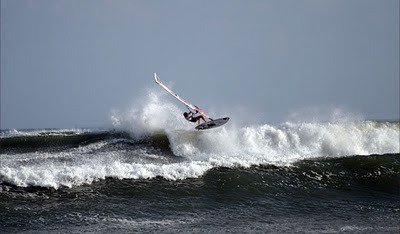 TON of FUN sesh with numerous big clean wave rides and hits at the soft yet powerful peaks! 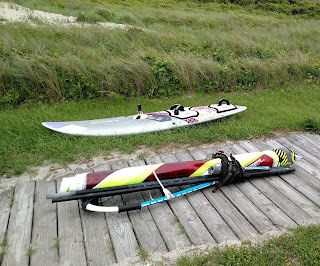 I was solo (as usual) in Nags Head with a sail in hand, yet there were numerous surfers and two waves of downwinding kiteboarders who came through. All in all, Saturday’s wave sesh in Nags Head was a fun treat and excellent training sesh for the upcoming AWT Hatteras Wave Jam. I lasted all day which was cool since I had a two week layoff since my previous wave sesh; yet everything worked and game was on! Also landed a hookup with some swag/promo from the PhixDoctor epoxy repair kits provider as the owner was traveling and happened to be in the water surfing, while I was riding Light Air Wave. Guess he liked what he saw! Good stuff and new sail stickers will look nice once the 2013 Legend freshies arrive Sept 10 ahead of Wave Jam! Ahhh, love tropical season for days like this past Sat! Only down side, no photos though likely with all the beach goers on the sand, someone was taking shots with their iPhones/point and shoots, as wavesailing in Nags Head is a rare sight, and most folks have never seen it live in action, especially in surf such as Sat! Regarding the AWT Hatteras Wave Jam, Tropical Outlook is on track for incoming swell and low tide is on our side riding in the afternoon hours during event week! Gonna be FUN! Sunny days = Happy days! 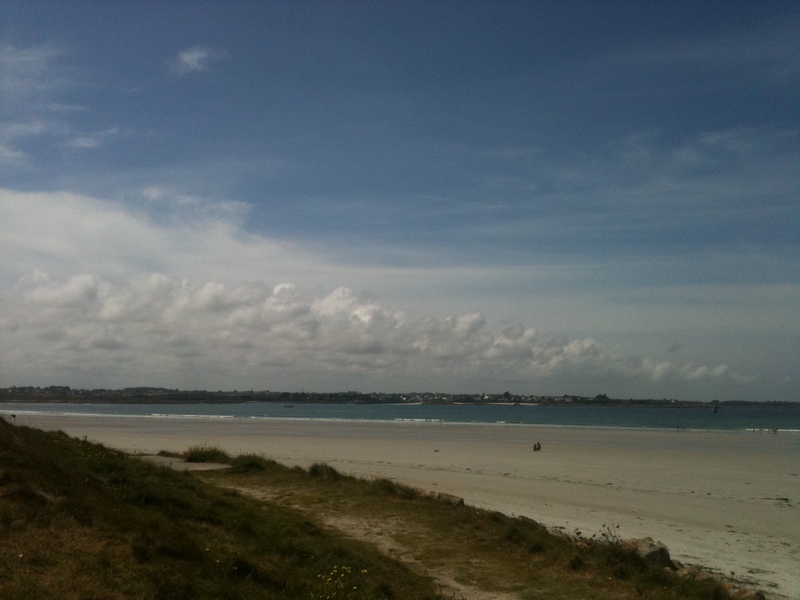 Salty kisses and sand between the toes is good for the soul….long may these sunny days last….